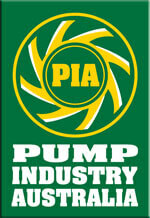 Think a multistage pump is what you need to do your important pumping job? Got an important application that requires power, efficiency, reliability, versatility and a reasonable price to boot? With 4 Pumps' awesome range of all sorts of powerful and versatile multistage water pumps, as well as an incredible range of water pumps across the board, you've definitely landed at exactly the right place. Multistage pumps are what you need to take care of a huge array of pumping tasks, and 4 Pumps not only have the best and most trusted range on the market, our experts are the best in the business when it comes to superb advice and friendly service. Welcome to 4 Pumps' famous and meticulously hand-picked range of the best multistage pumps in all of Australia - and all of the detailed information of the range and this amazing technology that you'll ever need! You'll be stunned to discover not only what powerful multistage pumps can really do, but how this technology even works to make even the toughest of pumping jobs seem easy and superbly efficient. What is an electric multistage pump? When you hear that term 'multistage', it's a reference to the various stages that go on through the pumping booster process based on the centrifugal pump principle. Centrifugal pumps, let's remember, are how the simple process of forcing liquid through a pump is most commonly done throughout the world. In the case of multistage pumping, this is when that liquid - typically but not always water - needs to be transported at higher pressure for a vast range of reasons. But how exactly is it done? The simple answer when it comes to multistage solutions needs a bit of terminology - and it's the 'impeller' that we'll have to introduce you to at this point. Basically, multistage pumping is when multiple impellers (or stages) are designed and built into the important pump and pumping process. As we explain it further in this detailed article, we hope you come to view multistage pump technology in the same admirable light that we do here at 4 Pumps - and then choose one of the incredible and high quality pumping products from our range! As well as the motor, the impeller is a crucial part of electric pumps multistage, and it's one of the main reasons that you need a truly high quality product. Luckily, 4 Pumps has put an awful lot of attention into putting together only the best and most trusted multistage pumps, which can be browsed at your leisure in our extensive range. You'll find amazing and reputable brands like Sparkle, Grundfos, the Onga series, Hyjet, Bianco and more, with models including automatic and manual pumps, submersible pumps, horizontal multistage centrifugal pumps, vertical multistage centrifugal pumps, and more. Without having to read those manuals in too detailed a fashion, the main benefit of the multistage centrifugal pump is the high pressure that can be built up within the unit. Through these high pressure systems, water can efficiently and easily be transported much longer distances than single stage pumps. So if your application calls for high pressure or constant flow, or if your system needs pressure boosting due to for example high-density living for hot water circulation, multistage centrifugal pumps are surely the answer - and that's what we can supply to you today at the most competitive prices in the industry. But multistage speed booster sets are also seen in a vast array of domestic, commercial and even agricultural and industrial water treatment solutions - and many, many other applications that we'll discuss later on. T, and are capable of handling even the highest pressure demands like fire hydrant systems and sophisticated irrigation systems. But the 4 Pumps range of water circulation pumps has been meticulously put together so that every need - big and small - can be handled by the products you see, replete with all the latest technology and features like a mounted pump controller. And as the added bonus, the friendly 4 Pumps team is chock full of years of experience in the water pressure systems and pumping industry - so never be shy to get in contact with your questions or for our guidance. In short, when it comes to pumps, pump sets and pumping applications, we've seen it all and the team is on standby to ensure that your needs are easily and expertly matched to a high quality product in the range. At 4 Pumps, we've come across literally hundreds of vastly different applications over the years, and we've never met one that can't be solved efficiently with a reliable multistage pump. Often, a 4 Pumps customer will have an application where, compared with the flow, a high head is necessary - that's where a multistage pump is really the answer. In addition to our other services, we stock nothing short of the best centrifugal pumping products in the business, and are proud to say that multistage pumps supplied by 4 Pumps are doing their reliable, round-the-clock pressure boosting work in thousands of applications throughout Australia. In part, this is due to the excellent materials used in the manufacturing process, like stainless steel but also many super-tough and light modern options. A multistage pump, of course, is comprised of a piping system which applies the necessary force to the liquid in question. Where that force is applied across various 'stages', it's called a multistage pump. While multistage pumps are definitely seen in all sorts of applications, it has to be said that just about all industrial-scale pressure boosting systems rely on multistage pumps. That's because the liquids need to be worked at higher than normal pressures and in many cases transported large distances - and it's simply done best with a multistage centrifugal pump. Basically, the multiple impellers are all in the same pump shaft, and as the flow of water or liquid moves from one stage to the next, pressure steadily grows. There are pumps with all sorts of different numbers of 'stages', but they're all called multistage pumps - and they're all in the great range we've put together at 4 Pumps. Typically, multistage pumps are used for the pressurisation and transportation of clean fluids like water rather than for dirty water, but the range of applications they can be expertly deployed in is vast. Fire fighting, boiler feed, pool and spa related tasks, air conditioning, the circulation of water, irrigation, water supply boosting - you name it, multistage pumps will do it. But the huge number of applications for centrifugal multistage pumps doesn't end there. You might think a single stage pump is the best answer for you, but a multistage pump can typically have a smaller or more compact design due to requiring a smaller motor and impellers. They're also incredibly versatile, coming in either horizontal or vertical installations, while the inlet and outlet can be mounted in an array of different ways. It all combines to mean that, whether you have a big space or even a smaller one, you can really maximise your application by installing a quality multi stage pump. They're also easy to operate, as in many cases it's just a matter of installing and then a simple press of a button. This technology is also incredibly energy efficient, whilst still delivering incredible pump power and performance. Homes or businesses across Australia have been relying on multistage pumps supplied by 4 Pumps for years, because they are powerful, the speed of the pump can be easily controlled. Customers also come back to 4 Pumps for their next multistage pumps and water solutions because of the brands we stock, like Onga, KSB, Davey water products, Bianco and more. We stock these particular multi stage pumps because we believe in the brands' values and trust their products, which have stood the test of time in incredibly harsh Australian conditions for years on end. And at 4 Pumps, once you've bought that new multistage pump, you can rely on great guarantees and technical support backed not only by our own team or experts but by the very best manufacturers in the pumping industry. Still not convinced it's a multistage pump that you need? Maybe you'll be swayed by the incredible efficiency that this technology can deliver for your home or business - because power bills are high and a one-off investment in a great quality multistage pump might prove to be a great decision. The efficiency gains achieved through installing multistage pumps can be truly impressive, resulting in notable operating cost savings, greatly reduced consumption of energy, reduced energy supply load - and a very real contribution in the fight against climate change! If that sounds overstated, then consider this: it's been estimated that 20 per cent of the world's entire energy is being used by pumps. That's a staggering number, so when you consider that multistage pumps are the most efficient pressure boosting systems, it's more than worth thinking about. If an amazing multistage pump system costs a few dollars extra, then consider this - almost all of the cost of running a pumping system is the ongoing electric energy being demanded. Reduce that cost with greater efficiency, and you've just slashed your power bills and boosted your potential profits for years to come in one fell swoop. Another factor to consider is that the most reputable and best-designed multistage pump models on the market are the most efficient ones to run - and that's precisely what we only supply at 4 Pumps. Finally, trusted brands like Onga, Bianco, Sparkle and others in our range are renowned for lasting longer than their competitors. So if affordability is your primary considering when looking to complete that pumping project, you really are in the right place when it comes to 4 Pumps' great range of multistage pumps! If you need to boost water pressure, operate a fire pump, re-use rainwater or have another of literally hundreds of industrial applications, 4 Pumps wholeheartedly recommends its hand-picked range of multistage pumps. Perhaps you'll need vertical multistage pumps, which are the ideal solutions for low viscosity liquids like water. They're great for saving space because of their vertical design, and they're notable for their efficiency and quiet operation. And if you have a light commercial or domestic application that could benefit from multistage pump technology, it could be a horizontal multistage pump that you'll need. Of course, if you're not sure what kind of multistage pump you'll be requiring, the friendly team of experts at 4 Pumps is standing by to help. We understand that picking the right pump is a decision you want to get right first time, and we are highly experienced in getting all of the necessary details from you about your installation requirements, and getting one of our amazing products up and running for you as fast as possible. We are firm believers that if you are going to have a multistage pump doing that important pressure boosting work for you, you need something made of the best materials like stainless steel, something truly reputable, something backed by industry-leading guarantees, and something that will work anywhere in Australia in any conditions around the clock and for years. Multistage centrifugal pumps are increasingly popular because they're flexible, incredibly energy efficient, compact and powerfully hard-working. At 4 Pumps, we're pretty sure that your application could benefit from multistage pump technology - but if you're not sure, get in touch because we're poised to help. Multistage pumps can handle complex tasks like reverse osmosis or simple domestic chores like ensuring a consistent shower. They'll do your high pressure cleaning and your snow making, your dewatering and your spraying - and so, so much more.